Inspiration can strike different people at the same time — like Newton and Leibniz discovering calculus at the same time. Two of our longtime cooking instructors, Christie Maggi and Kirk Warner, started making potato-wrapped shrimp, and neither remembers who did it first! This shrimp is one of our favorite party appetizers. Get the recipe here — plus our favorite dipping sauce for the shrimp, Sweet Chile Sauce, which is sweet, tart, spicy, and irresistible. 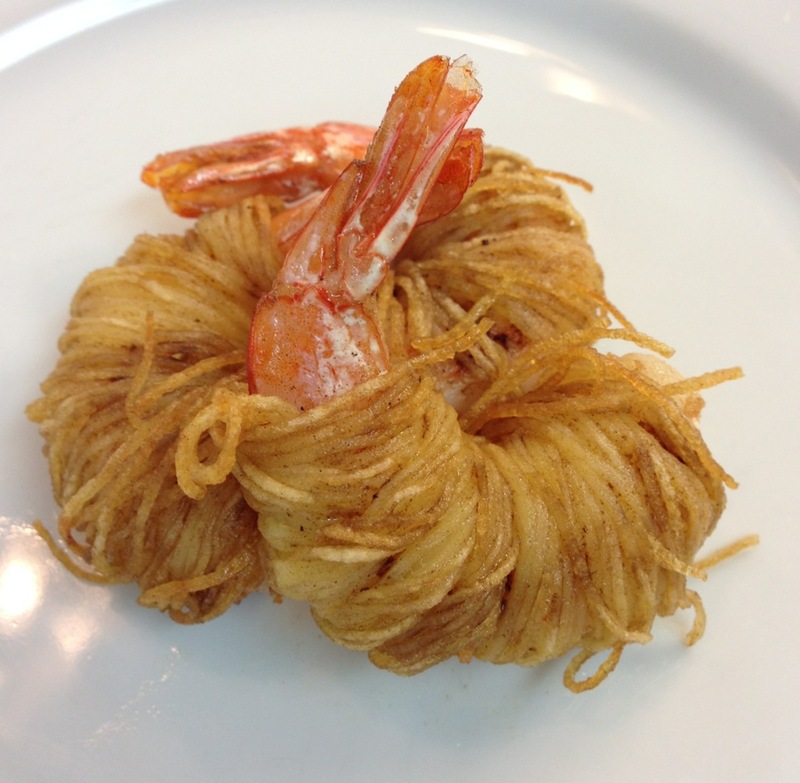 The Potato-Wrapped Shrimp is Number 22 on the Top Thirty Recipes of Kitchen Conservatory celebrating our thirtieth anniversary. The potatoes in this recipe are made using a spiral slicer, which turns vegetables into thin spaghetti strands. To see and taste this appetizer made in cooking class, sign up for “Weekend Dinner Party: Table Conversation” on Friday, March 28 at 6 pm.